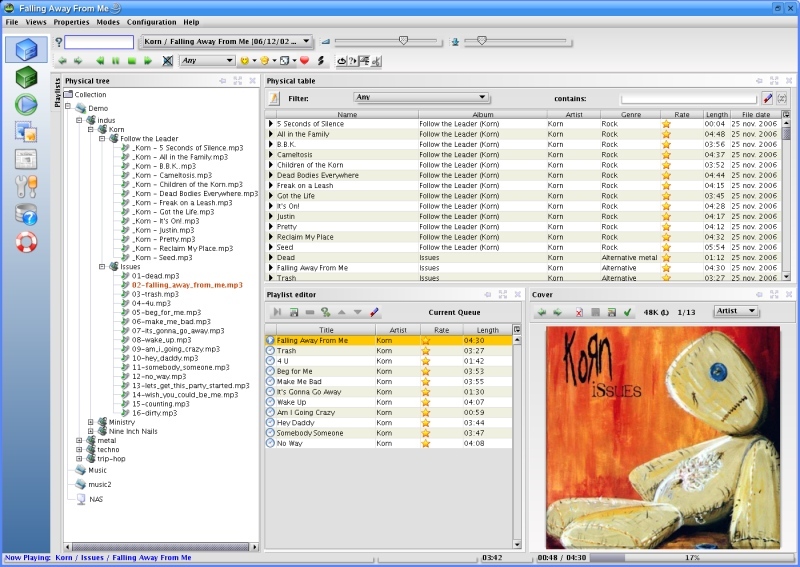 Jajuk is a Java music organizer for all platforms. The main goal of this project is to provide a fully-featured application to advanced users with large or scattered music collections. Jajuk supports MP3, OGG Vorbis, AU, AIFF, WAV and SPEEX audio formats. Posted by Gern on Wed, 12/15/2004 - 15:18. I have tried most of the library/collection based audio players around (Rhythmbox, Juk, Amarok, wxMusic...) and this is one of the best. The interface is a bit different than others and it takes a while to become accustomed to it, but once it is familiar, there is no other player that allows one to create and save playlists as quikly as jajuk.